This is not specifically about real estate or Indianapolis. I know my readers can see the obvious connection of good client care practice regardless of the business or city. In search of new communication devices to keep me accessible wherever I am, I went online to find a new phone and wireless card. The wireless company I have used since 1998 had a great offer for a Blackberry and the price of their wireless card was not too bad. I went through the online process only to discover I could not take advantage of the offer since I am an existing customer. For a new customer, the price was $149. For me, who has been a long term customer, the price for the Blackberry was $489. and an additional two year renewal period. Then there was the cost of a wireless card. I spend a lot of money monthly on their service for my families collection of cell phones, download ringtones and text message habits. I have college aged children:) I spoke to their virtual receptionist and no, the offer is not available to existing customers. Same story at their brick and mortar outlet. It seems to me a long term client would be given some latitude.......some care and consideration. In the wireless phone industry, where competition is on every corner, I think their service priorities are a bit skewed. 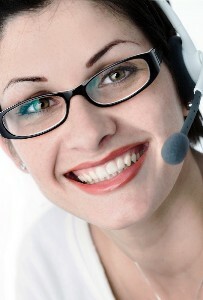 They prefer to reel in the new clients with some special offer and keep the existing clients tied to a contract. I will have to pay the $175. early termination fee because I now have a new cell phone company which gave me a free Blackberry, a free wireless card, a great rate for unlimited minutes on both and a one year contract. It doesn t take a genius to figure out the numbers. If you don't take care of your clients and customers, someone else will. It's common sense and good business sense. Loved this one! Isn't it amazing how much some will spend to get a new customer, yet fail to take care of those who have been loyal for so long? If wireless carriers took better care of their existing customers, companies like this would not be needed. Great article Paula...that stuff really irks me, too. I'm shopping for a Blackberry, since I am tired of my Treo crashing..I expect I'll be in the same situation! Paula, isn't it funny how in every industry, so many miss "the forest for the trees"...looking at the big picture is clearly a better way to offer services to valued consumers! Great info. It is so much easier to keep an existing customer but I guess the cell phone companies don't see it that way. They just use long contracts and high cancellation fees to keep a customer and only sweet talk a new one. No wonder everyone is hopping cell phone providers.